– great work on blogging – lots of information outlining the rationale for using blogging. 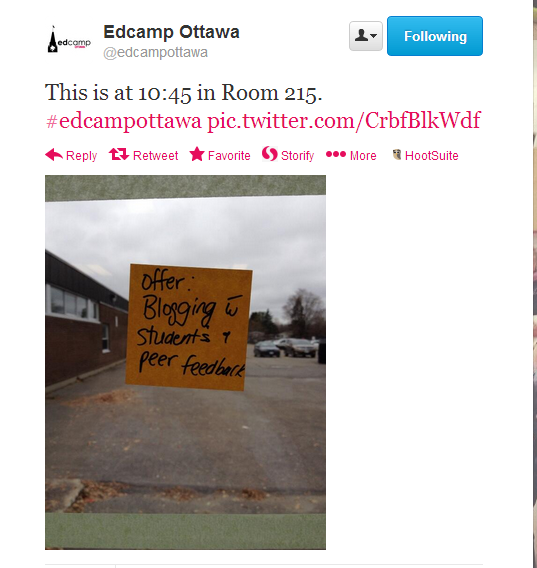 Terrific idea – to send a more detail home on what type of social media will be used in the classroom. The letter from Megan’s blog is here – this blog is a terrific resource! Now using blogging as a way to reflect on the work going on the the classroom. Also books the iPads once a week to use the machines for blogging during the day. 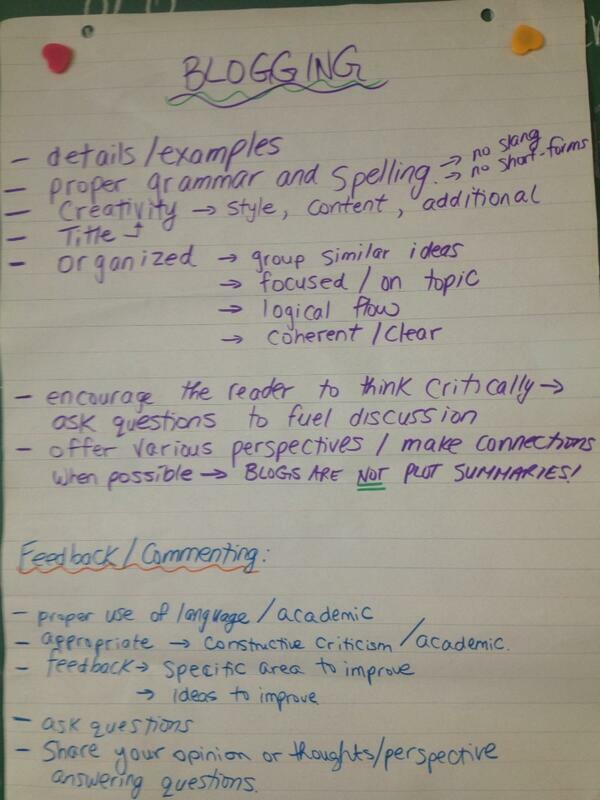 Students learn how to give meaningful feedback and are expected to give feedback to other students’ blogs. When students comment on other blogs, the majority of students will go back in and improve their posts – students are learning from each other! co-constructed chart Megan uses with her students prior to blogging – what makes an effective blog? What make for effective feedback?